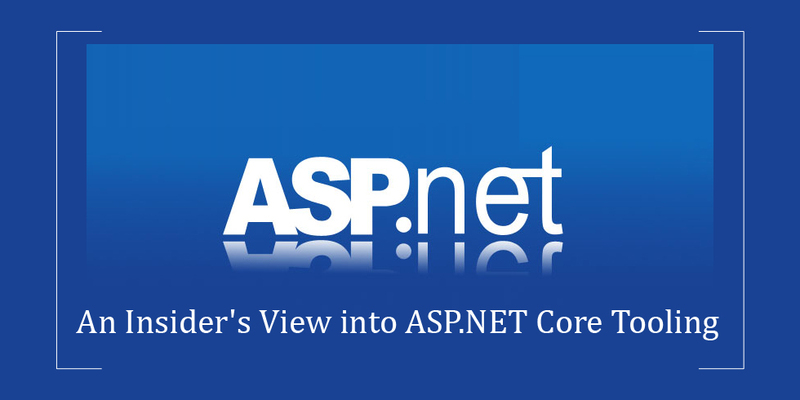 Recently Microsoft released the ASP.NET Core tooling, which was embraced by businesses as well as developers. Early comments from the developers’ community suggest that there is a lot of enthusiasm surrounding this new release. Many believe it would take ASP.Net development to whole new level, as it has resolved some of the pain areas for the developers. So what’s new in this latest preview, and how will it impact the developers? We shall try and answer these questions in this short write-up. One of the significant changes in the new RC2 release of ASP.Net has been the support for .Net CLI (Command Line Interface). It allows developers to quickly develop, compile and package application with the use of .NET Core SDK. This change in .NET tooling means that developers would have constant support while debugging as this tool will constantly inspect the application. A lot of emphasis has been laid on the visual tools in this new version that would ease the job for developers. The tools would seamlessly integrate with Visual Studio, and when developers use standard tools for compiling, they would see the commands being executed in the output window in real-time. A major change in the new version of web tooling has been the introduction of separate templates for .Net Core and .Net Framework. In the previous versions, there was no such segregation, and this posed a challenge to the developers. In the new version, developers are prompted to choose a template and framework when they enter the new project dialog box. Also, there is a whole new selection of templates dedicated to .NET Core framework where developers can make a choice based on their needs. In short, it means that developers would be able to choose templates for a .NET Core base web application, .NET Core compatible class library or .NET Core command-line application purely based on needs. Tooling preview shows that the authentication and authorization of web APIs has been made easy. So developers can simply activate authentication capabilities using the Active Directory. Hence, the Authorize/Attribute option can now be initiated in the template generated controller where more security policies can easily be defined. The new preview also comes with support for RC1 and RC2 projects. So, the developers would be able to open any project created in RC1 using Visual Studio 2015. It is important as it would allow developers to quickly switch an RC1 project to RC2, thus adding to its extensibility. Microsoft would eventually provide an edge to ASP.Net development services and help companies come up with applications that are engaging at the same time solve critical business problems with this new tooling preview. Semaphore Software, an ASP.Net Development Company, will help you achieve your business goals while considering your business needs. Write to us at info@semaphore-software.com and we shall discuss these possibilities.